The first issue of “The Vision” is a revelation. This single issue is the epitome of what a superhero / sci-fi comic can be – twisting what we think we know about heroes to create a mind-bending, thought-provoking, and slightly creepy tale. 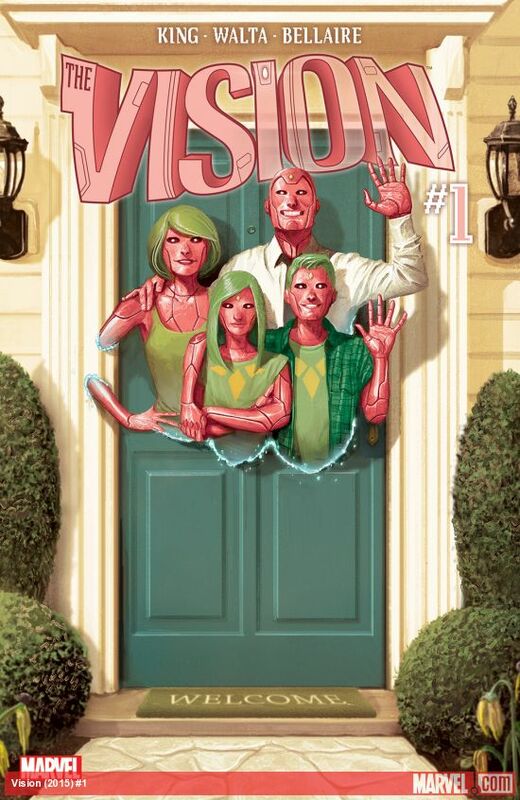 The Vision #1. Writer: Tom King; Artist: Gabriel Hernandez Walta. Marvel Comics.